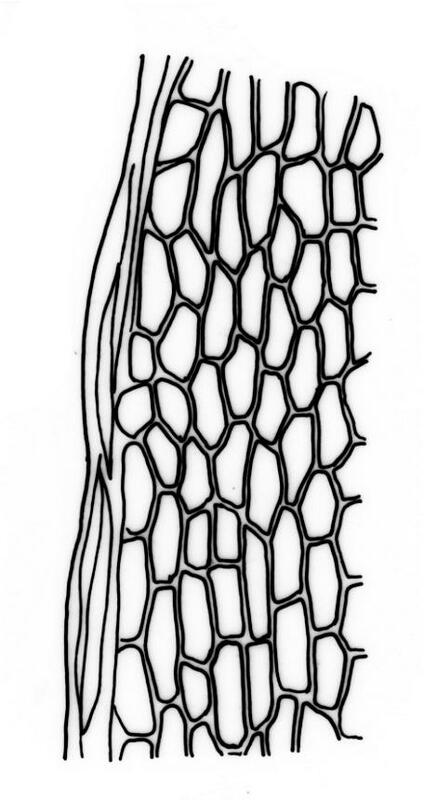 Leaf borders of prosenchymatous cells, well-defined, pluristratose, on all laminae, confluent with the costa at the leaf apex, or failing shortly below. 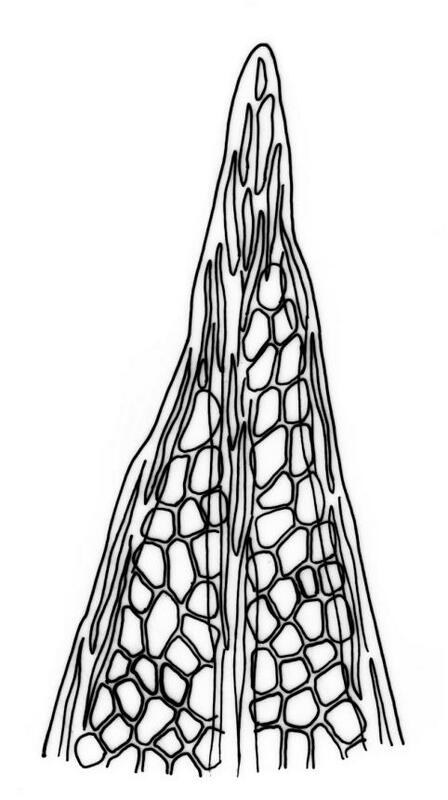 Setae 2.5–12.0 mm; capsules erect and symmetric to horizontal and arcuate; operculum as per species. Spores as per species. Beckett 1893, pl. 44 (as F. campyloneurus); Dixon 1923, pl. 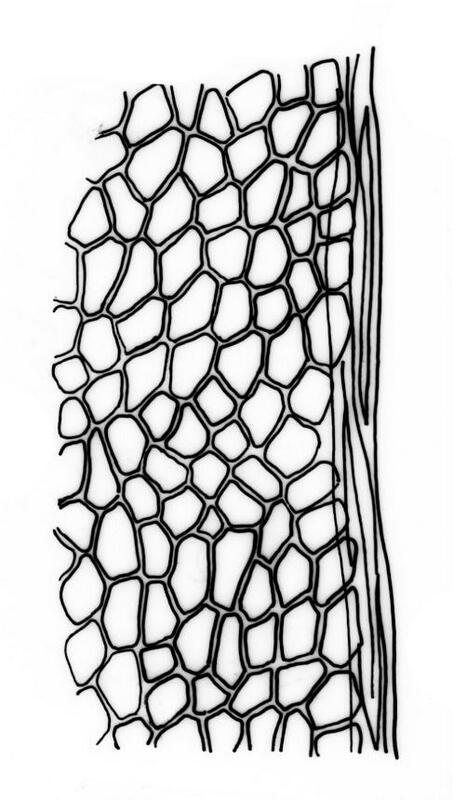 7, fig. 3 (as F. campyloneurus); Sainsbury 1955, p. 46, fig. 3 (as F. pungens); Scott & Stone 1976, pls 7–9 (pro parte, as F. pungens); Catcheside 1980, fig. 11; Magill 1981, fig. 11, 1–8; Beever et al. 2002, p. 24, figs 1–4; Bruggeman-Nannenga & Arts 2010, fig. 14; Stone & Catcheside 2012. K; NI: N Auckland, including offshore islands (TK, PK, HC, LB, GB, RT), S Auckland, Gisborne, Hawke’s Bay, Taranaki, Wellington (including KA); SI: Nelson (including D’U), Marlborough, Canterbury, Westland, Otago, Southland; St; Ch; A; reported from C (Vitt 1974). Cosmopolitan. Tasmania*, mainland Australia*, New Caledonia*, South America*, South Africa*. Also recorded from Europe, Asia, in the neotropics from Mexico to Chile and Argentina (Pursell 2007), and from tropical Africa (Bruggeman-Nannenga 2013). In U.S.A. the species occurs as two disjunct populations, in California and Pennsylvania, according to Pursell (2006). He suggested that the species had been introduced, on two separate occasions, and noted that the California plants “resemble the F. pungens Müll.Hal. & Hampe expression of F. curvatus from Australia”. A very common and widespread species, on mineral soil, especially as a coloniser after disturbance. Fissidens curvatus is found in mesic to moderately xeric sites, in both indigenous and exotic vegetation, including forest, shrubland, and pasture. Sterile plants, with more numerous, even-sized leaves, commonly grow among fruiting plants. In addition, the species often grows mixed with other species of Fissidens, especially F. tenellus. Even the holotype specimen of F. pungens Müll.Hal. & Hampe is a mixed Fissidens collection. 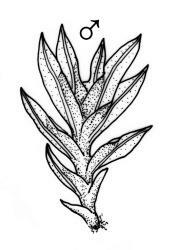 It consists largely of F. taylorii, but a single plant, with a single intact perichaetial leaf, is identifiable as F. pungens, having stout lamina borders that are confluent with the costa at the leaf apex. Achrophyllum quadrifarium, Bryum sauteri and Tortula truncata are other mosses often found in association with F. curvatus. Recorded from near sea level to 1000 m (Ngāmoko Range, Gisborne L.D.). Beever, J.E. ; Malcolm, B.; Malcolm, N. 2002: The Moss Genus Fissidens in New Zealand: an illustrated key. Micro-Optics Press, Nelson. Bruggeman-Nannenga, M.A. 2013: Subgenus Fissidens in tropical eastern Africa with emphasis on the Tanzanian collections by Tamás Pócs. Polish Botanical Journal 58: 369–417. Bruggeman-Nannenga, M.A. 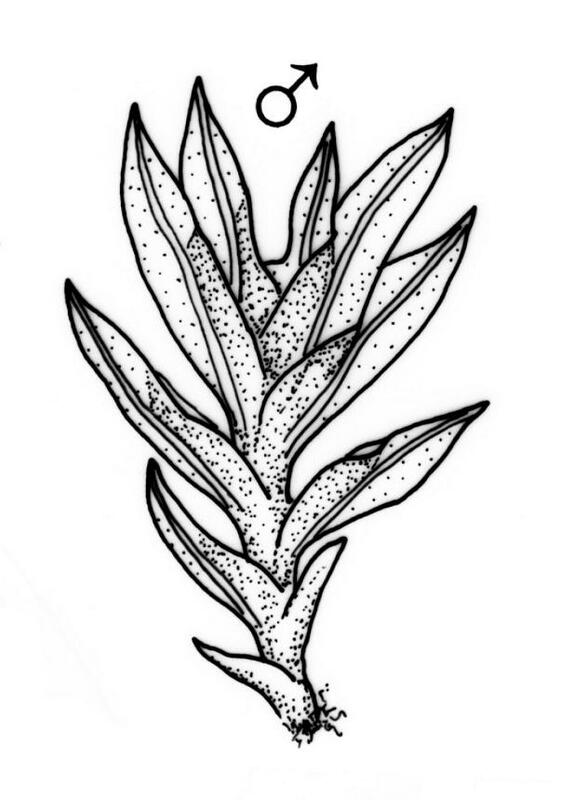 ; Arts, T. 2010: A revision of the Fissidentaceae (Musci) of La Réunion (including all species known from Mauritius and Rodriguez). Journal of Bryology 32: 170–207. Catcheside, D.G. 1980: Mosses of South Australia. Government Printer, Adelaide. Dixon, H.N. 1923: Studies in the bryology of New Zealand, with special reference to the herbarium of Robert Brown. Part III. Bulletin, New Zealand Institute 3(3): 75–152. Pursell, R.A. 2007: Fissidentaceae. Flora Neotropica Monograph 101: 1–278. Sainsbury, G.O.K. 1955: A handbook of the New Zealand mosses. Bulletin of the Royal Society of New Zealand 5: 1–490. Scott, G.A.M. ; Stone, I.G. 1976: The Mosses of Southern Australia. Academic Press, London. Vitt, D.H. 1974: A key and synopsis of the mosses of Campbell Island, New Zealand. New Zealand Journal of Botany 12: 185–210.